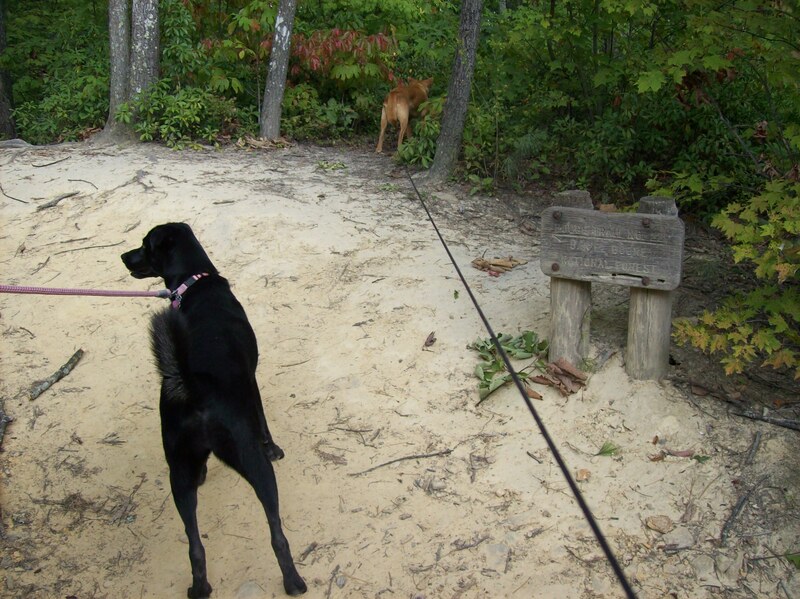 In preparation for this week’s episodes, in which the gang goes for a hike, I thought it would be fun to show real-life Trixie and Holly on a hike of their own. These photos were taken on a camping trip to Red River Gorge in central Kentucky in fall 2008. Also in the second photo is hubby, Eric. 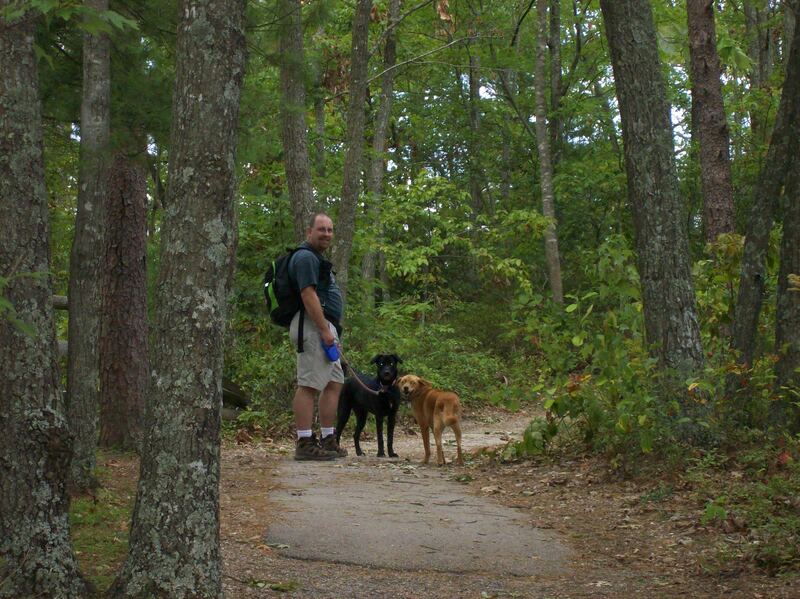 This entry was posted in Blog Update and tagged camping, Eric, hiking, Holly, Kentucky, Red River Gorge, Trixie. Bookmark the permalink. i wish i could take my pups on a beautiful hike..it’s snowy and cold here in toronto, but sping should be kicking in soon! Very nice! I grew up in KY, nice to see some of it through your photos. Hiking with dogs is one of my favorite things to do EVER. Thank you, and I agree! What part of KY? I grew up in Louisville, and lived for a while in Cynthiana, near Lexington. A small place called Mount Eden, about 40 miles south of Louisville, in the Spencer County part (near Taylorsville Lake).